Autumn is taking a while to arrive in Pittsburgh, which is kind of nice compared to last year when it felt like we just went straight to winter. But in between heat waves I’ve gotten to experience a little bit of fall, so even though I’m typing this post wearing shorts, I’ll be looking back to the last couple weeks for my responses! I was tagged to do this post by Tori from Notorious Beauty Blog. You should definitely check out her blog and YouTube channel! She’s really sweet and gives such genuine reviews. Also, Tori: You mentioned in your tag that you’re in SoCal for school…I’m from the Bay Area, so even though that’s pretty far away it made me really happy. 1) What’s your favorite autumn lipstick? HOW DO I EVER CHOOSE ONE LIPSTICK? 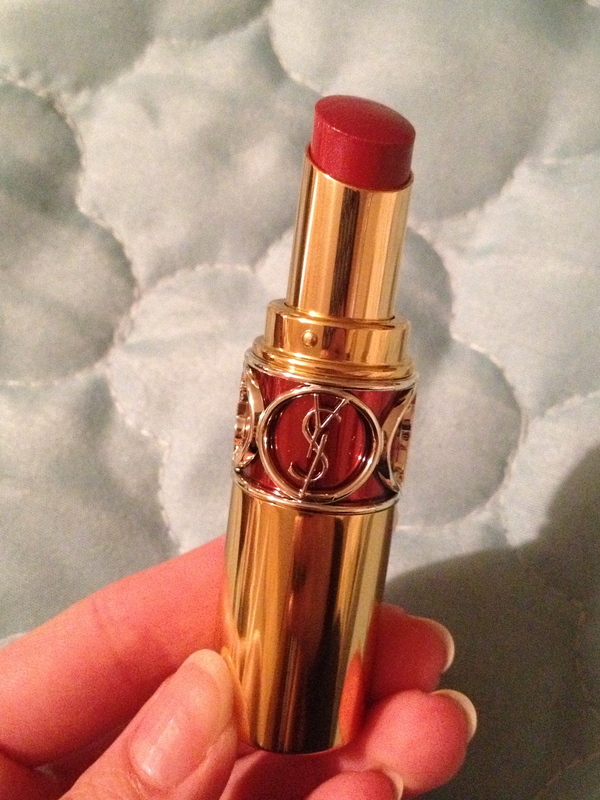 I’m actually doing a post about autumn lipsticks right now, which will be up in a day or two. 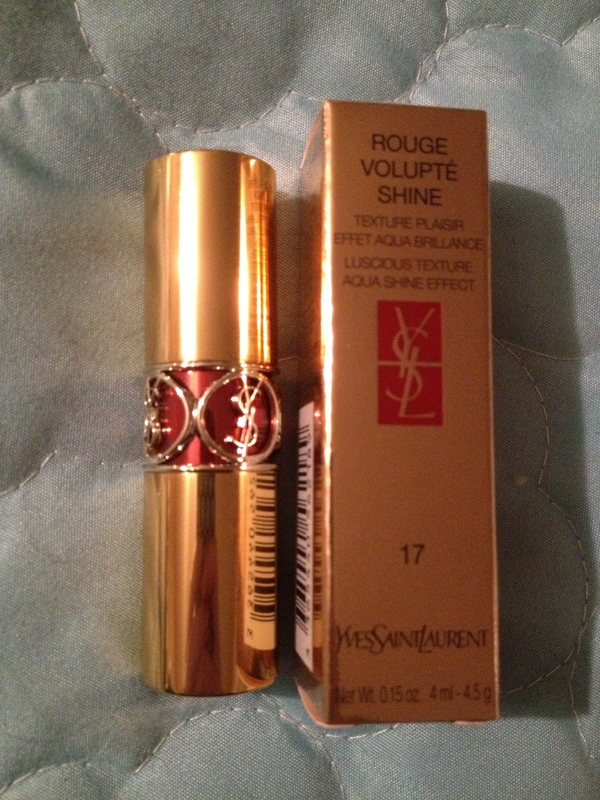 But for the sake of this question, I’ll choose a wearable daily lipstick, and I’m going to go with YSL Rouge Volupte Shine lipstick in Rose in Tension. This color is a beautiful rose that looks just like my natural lips but much more pink, so it really perks me up! 2) What’s your favorite autumn trend? BOOTS! I can’t get enough of them. I’m used to wearing them all year back at home, out near San Francisco when there’s no weather/fog. 3) What’s your favorite thing about autumn? My favorite thing about autumn is the clothes! I love layering different pieces together like sweaters, socks, tights, jackets, etc. I feel like the utility of the items in my closet triples during the fall because the multi-use aspect of clothing really comes out! 4) What’s your favorite autumn candle? I actually don’t have candles since I live in a dorm, but for cold weather I love anything that smells like spices. It makes any room feel cozy! 5) Do you have any autumn traditions? I can’t think of any traditions, but I love making hot cocoa and reading after a long week. It’s a great way for me to decompress during the cold weather months and warm up a bit. I also like to take the time to write while it’s raining outside. There’s something about being cuddled up while it’s storming outside that brings out my creativity. 6) What’s your favorite clothing item for autumn? I have a brown leather jacket that I love to wear in the fall! I’ve had it for a few years and it still looks like new. It’s a great jacket because it goes with a lot of different pieces in my closet and actually fits me well. 7) Favorite autumn nail polish? I can’t say that this is a permanent or all-time favorite for fall, but right now I’m into Sinful Colors in Dancing Nails. It’s a beautiful metallic reddish-pink thats subtle but not boring. I usually stick to hot cocoa. I’ve never been a coffee drinker! I don’t know what an “autumn snack” is, really. I think I eat the same snacks all year. But something fall-related that I love is pumpkin bread! My grandma has a really good recipe and my mom always makes a few loaves to have around the house. Unfortunately while I’m at school I have to stick with store-bought because I don’t have the kitchen or supplies for it! 10) Which celebrity inspires you most in autumn? I’m not much into celebrities. I have to say that friends and bloggers/vloggers inspire me, since I always look to them for advice and input when it comes to fashion and lifestyle. And any other readers who want to do this tag too! Go for it! I’d love to see it. I’m super glad I read this, because I was considering making a “fall lipsticks” blog post, and now I’ll put it off for a while! I loved this post, by the way, and I can’t wait to read your upcoming ones! Thanks so much! I’m working on the fall lipsticks one today, so I’m hoping to take photos and get that up ASAP.